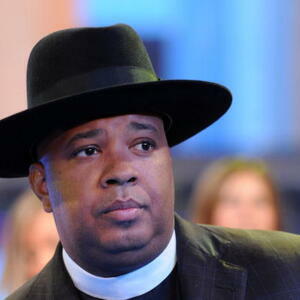 How much is Joseph Simmons AKA Rev Run Worth? Joseph Simmons AKA Rev Run Net Worth: Joseph Simmons is an American rapper, producer and disc jockey who has a net worth of $70 million dollars. Joseph Simmons became a household name in the 80's as a founding member of the hip-hop group, Run-D.M.C. He is now a minister and was the star of the reality series, "Run's House" for six seasons on MTV. He was born Joseph Ward Simmons on November 14, 1964, in Queens, New York. Prior to rising to limelight with Run-D.M.C., Joseph Simmons initially worked as a lead vocalist for the hip hop group "The Force". It was in 1981 that he co-founded Run-D.M.C. with DJ Jason "Jam-Master Jay" Mizell and Darryl "DMC" McDaniels. They were one of the first groups to highlight the relationship between MCs and DJs and they enjoyed their greatest popularity in the 1980's along with LL Cool J, The Beastie Boys and Public Enemy. They were a true pioneers in the genre, including being the first to have a gold album (Run–D.M.C., 1984), a platinum record (King of Rock, 1985), as well as to be nominated for a Grammy Award. Thanks to his contributions to hip-hop, Joseph Simmons became an inductee to the rock and roll of fame. Off the music stage, he found a new form of popularity in 2005 with his family's MTV reality show Run's House. In 1983, he married to his first wife, Valerie Vaughn with whom he has three children named Angela, Vanessa and Joseph Jr. 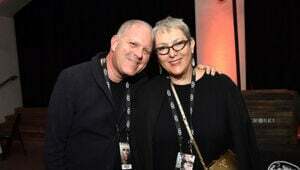 He decided to tie the knot for the second time with Justine Jones in 1994. A love liaison that once again resulted in the birth of three children, Danielle III, Russell II, and Victoria, but they lost Victoria because of a birth defect called omphalocele. Unlikely as it may seem, the Simmonses allowed MTV camera crews of Run's House to document baby Victoria's death. The intention behind the act was to show the world how they, as ministers, would handle such tragedy.